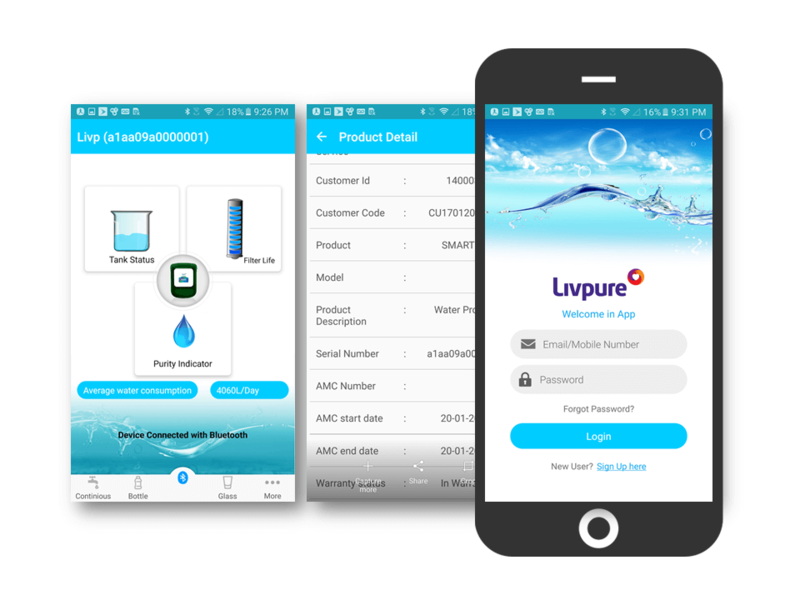 Check filter life of Livpure RO water purifier. Check average water consumption per day. Create service request as per convenience from within App. LET’S TAKE THE FIRST STEP NOW! Future Ready Apps & Digital Experience With Blockchain, IoT, BOTS & Artificial Intelligence!